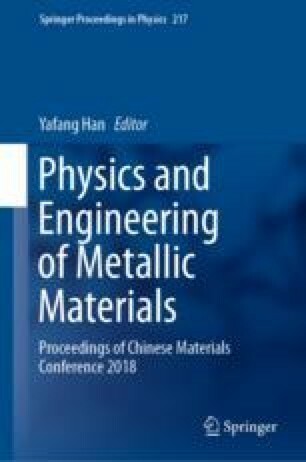 The chemical composition, phase category, and distribution of ternary Nb–Ti–Si in situ composites prepared by arc-melting and selective laser melting (SLM) were investigated by X-ray diffraction and scanning electron microscope equipped with energy dispersive spectroscopy. The room-temperature fracture behaviors were examined by three-point bending tests. SLM would refine the microstructure of Nb–Ti–Si composite, and the finer microstructure was benefit to increase the room-temperature fracture toughness of the corresponding material. This work was financially supported by National Key R&D Program of China (No. 2017YFB0702904).